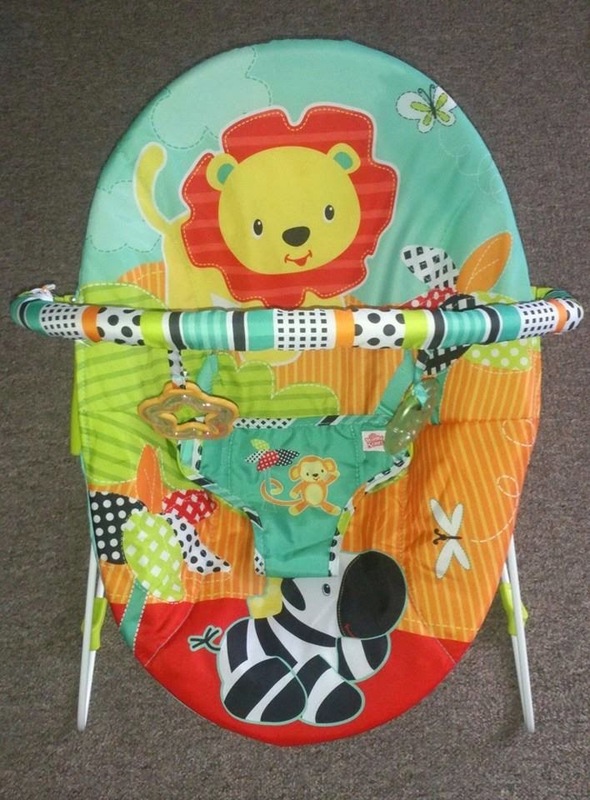 The Bright Starts bouncer is brightly coloured and features a range of animals over the seat cover. 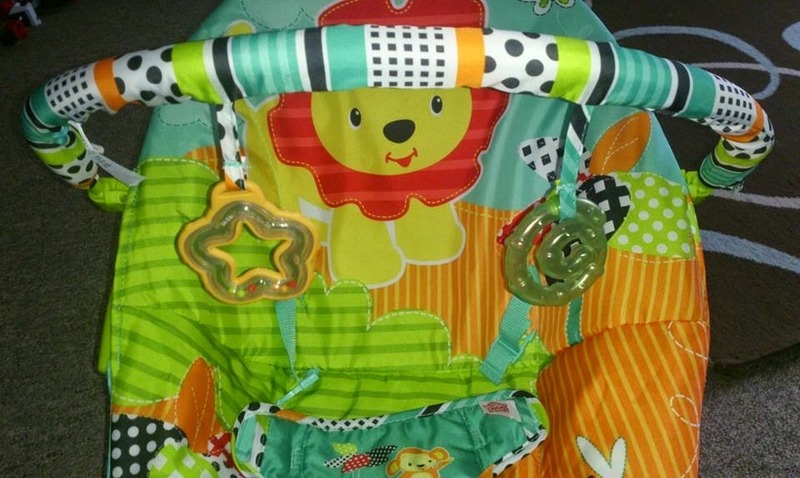 The bouncer also has a easy to remove toy bar with 2 hanging toys. Unfortunately the toys cannot be removed from the bar which is the only downfall for me but isn't really a major issue. The Bright Starts bouncer also has a vibration feature which gently vibrates the seat offered calming movements for baby. The vibrations always sends Evelyn to sleep! 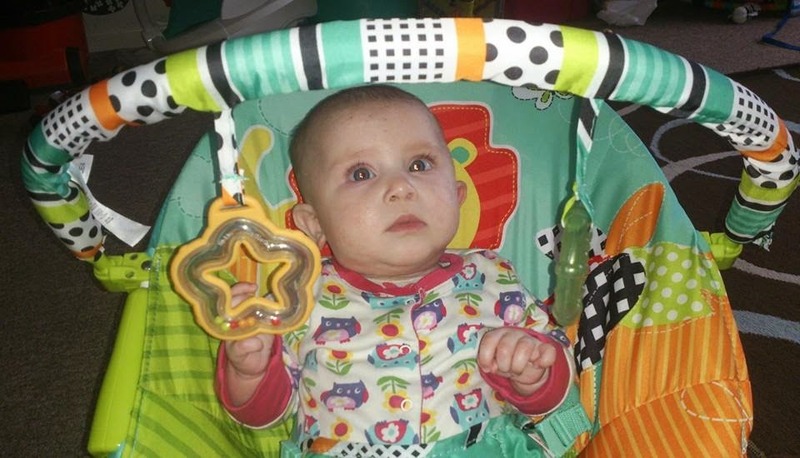 The bouncer features a soft cradling seat which is fully removable and machine washable which is a big bonus for us as Evelyn is always dribbling and being sick, Therefore its great to know you can pop the covers on and off when needed. 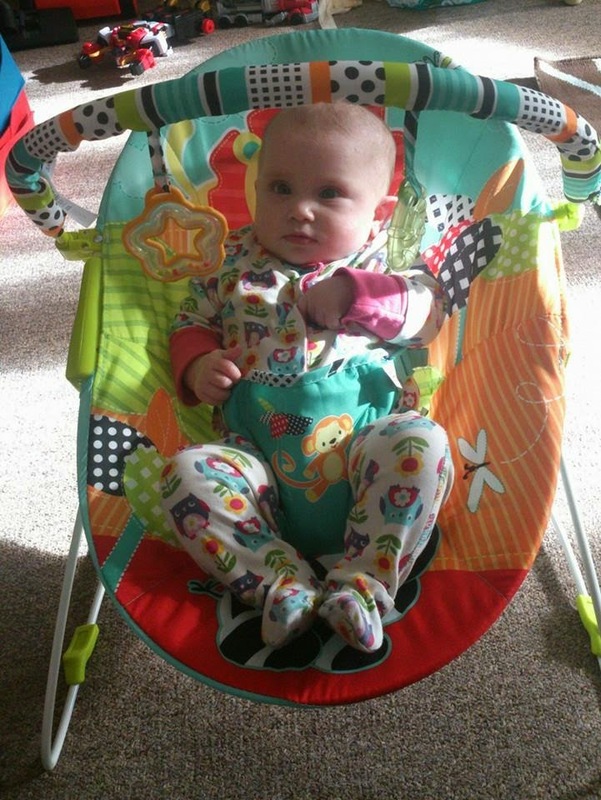 Evelyn really likes the Bright starts bouncer and it seems to offer a slightly more upright position than other bouncers we have tried, which seems to suit her more as she gets older. The 3 point harness means that baby is nice and secure and this bouncer is suitable from birth up to around 20lbs. If you are looking for a very reasonably priced bouncer which has some lovely features then you should check out this bouncer from Bright Starts!